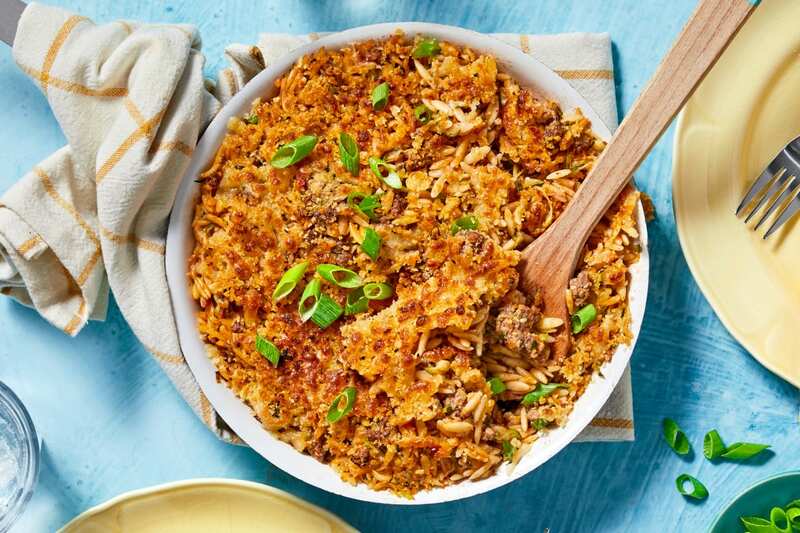 Everything is better topped with crispy, cheesy breadcrumbs. If we’re being honest, this magical mixture could be sprinkled on just about anything and we’d happily dig in, no questions asked. What makes this dish so special is that it’s already incredible on its own, so the crunchy crust is really just the cherry on top (literally!) 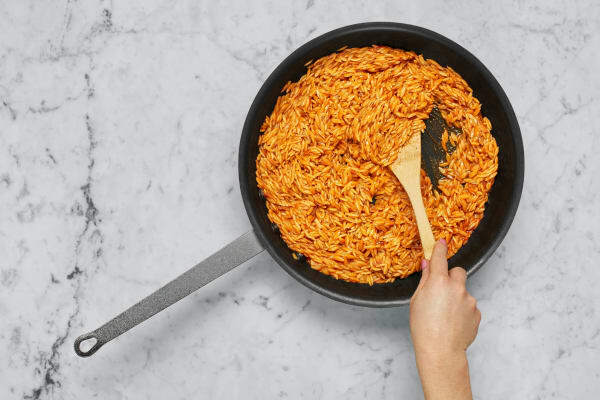 In it, you’ll find toasted orzo pasta, Italian-seasoned beef, and tender bites of zucchini, all enrobed in a silky tomato sauce. 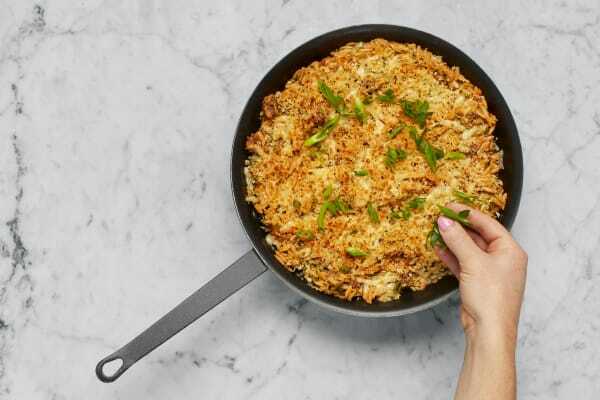 The fact that it all comes together in one pot is even more reason to love it. Preheat broiler to high or oven to 500 degrees. Wash and dry all produce. 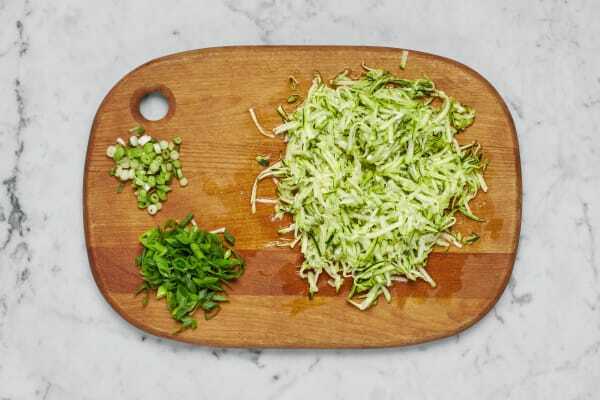 Trim ends from zucchini, then grate on the large holes of a box grater. 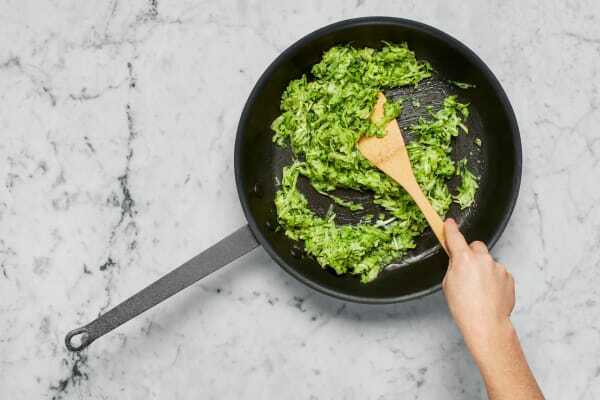 Trim and thinly slice scallions, separating whites from greens. Heat a large drizzle of oil in a large pan over medium-high heat (use an ovenproof pan if you have one). Add beef, ½ TBSP Italian Seasoning, salt, and pepper. Cook, breaking meat up into pieces, until browned and cooked through, 5-7 minutes. Turn off heat; transfer to a paper-towel-lined plate. Wipe out pan. Heat another drizzle of oil in same pan over medium-high heat. Add zucchini and scallion whites. Cook, stirring, until lightly browned and softened, about 5 minutes. Season with salt and pepper. 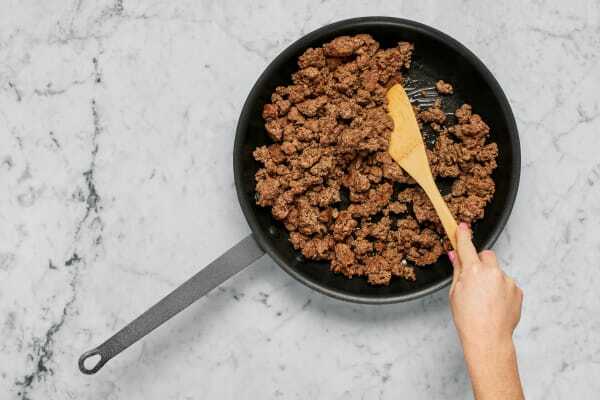 Turn off heat; transfer to plate with beef. Wipe out pan. In a medium bowl, combine panko, cheese, ½ TBSP olive oil, salt, and pepper. 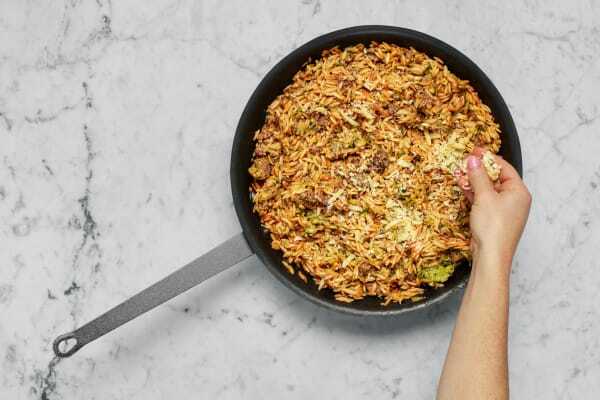 Drain any excess liquid from beef and zucchini; stir into pan with orzo. Stir in 1 TBSP butter until melted. Turn off heat. Season with salt and pepper. (TIP: If your pan isn’t ovenproof, transfer mixture now to a baking dish.) Sprinkle with panko mixture. Place orzo under broiler (surface should be about 3 inches from flame). Broil until panko is golden brown and cheese has melted, 2-3 minutes. (TIP: Keep an eye out for any burning.) Remove from oven, then scatter with scallion greens and divide between plates.